Whether intentional or not, multi-cloud strategies have become the new norm for enterprise infrastructure. 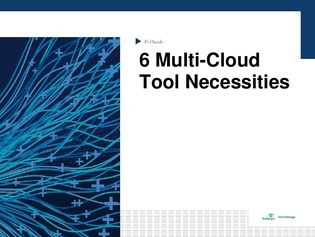 But managing multiple clouds – and consequently, multiple providers – at once is no easy feat. That’s where CMPs come in handy. In this E-Guide, discover how cloud management platforms (CMPs) and monitoring tools have evolved alongside the growing popularity of multi-cloud strategies – and what features IT teams should be looking for when choosing a CMP platform of their own.